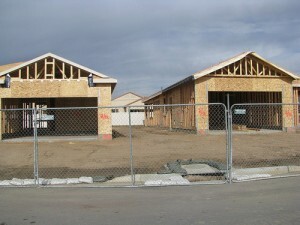 In 2005, spec homes—homes that builder start, and sometimes finish, before selling them—made up a quarter of the homes being built in the United States. Today, in the aftermath of the bursting of the housing bubble, almost no spec homes are being built. From 25% market share to 1-2% in just four years. A traditional conference is like a spec home. The program is designed and built for you based on what a program committee thought people like you would want. I don’t think the traditional conference market is going to implode like the market for spec homes. On the other hand, I’ve found during my eighteen years of experience running Conferences That Work that the best program committees predict only half the topics that participants at attendee-driven conferences actually request. If conference organizers continue to believe they can predict what their attendees want to share, learn, and do at their conferences they may, at some point, experience the bursting of a bubble of their own. This entry was posted on Wednesday, January 13th, 2010 at 3:46 pm	and is filed under Uncategorized. You can follow any responses to this entry through the RSS 2.0 feed.You can leave a response, or trackback from your own site.